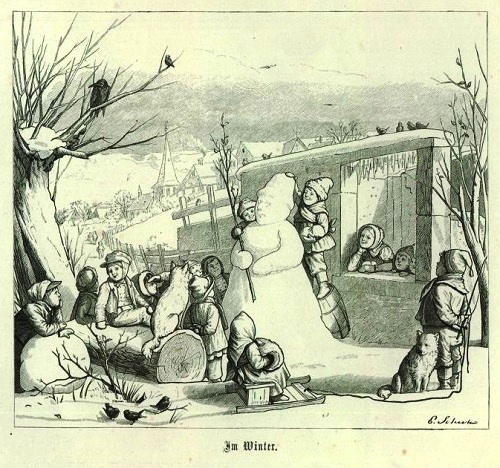 Meanwhile, people believed that if to blind a snowman in a full moon, it will bring misery and nightmare. 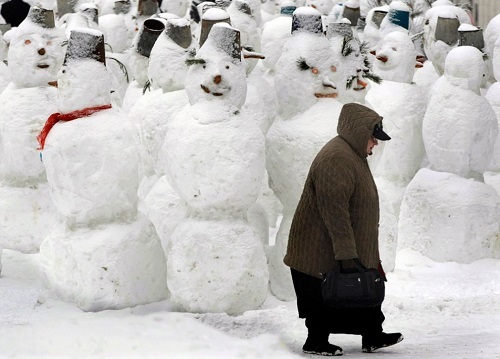 And to meet the snow figures in the evening was a bad sign. 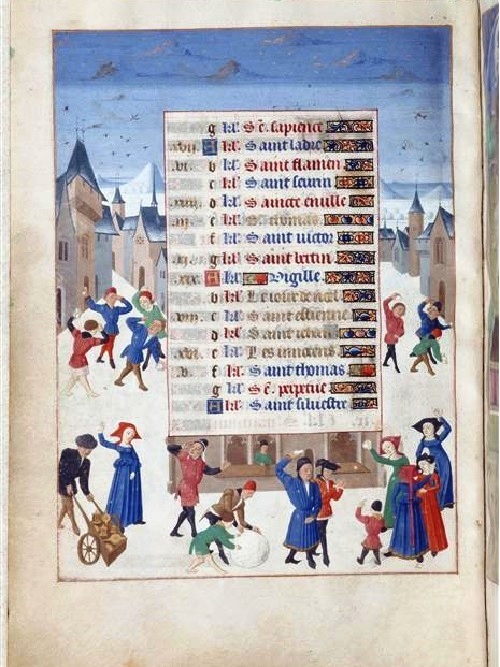 Therefore, in the dark period of the day people tried to pass by without looking at it. 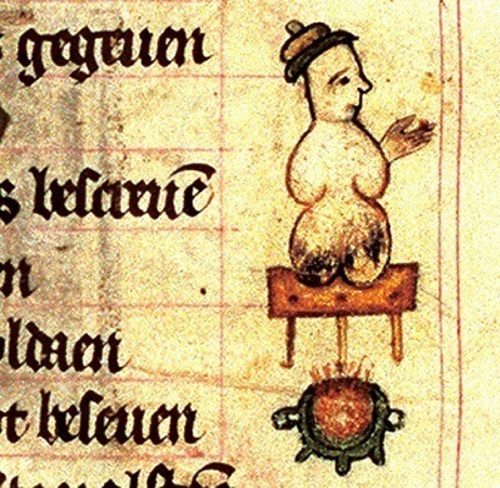 Of course, there is nothing surprising in this, because in the Middle Ages snowmen personified powerful supernatural forces. 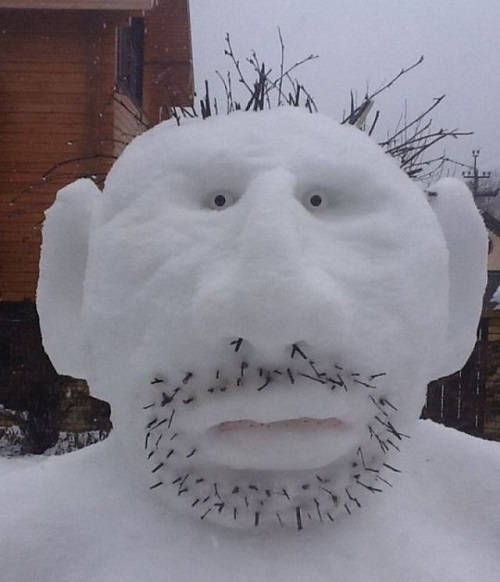 For example, considered dangerous to sculpt snowmen during a full moon. 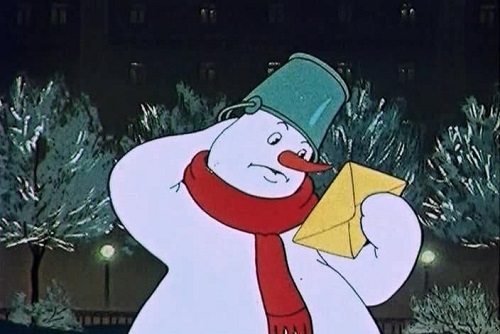 And if a person has violated this prohibition, cobbled together at the wrong time snowman will come in nightmares every night and bring problems. In Norway, strictly forbade after sunset to look at a snowman through the curtains, and to prevent that, they lowered curtains. 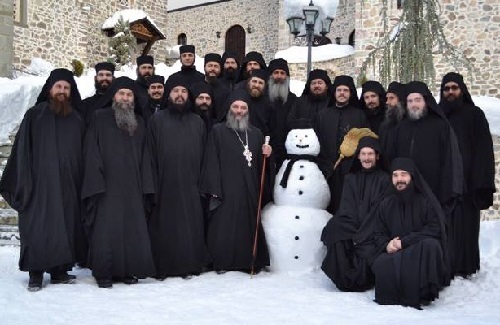 Then, with the advent of Christianity, snowman became kinder, cheered and even turned into an angel, bringing desires to God. 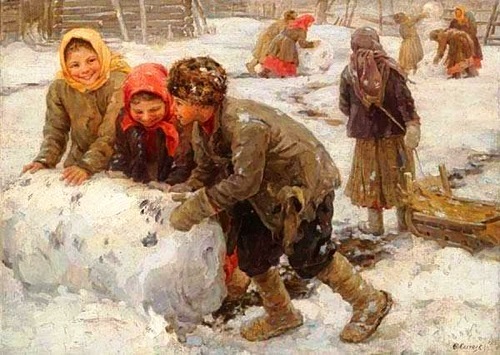 And the snow is a gift from heaven. 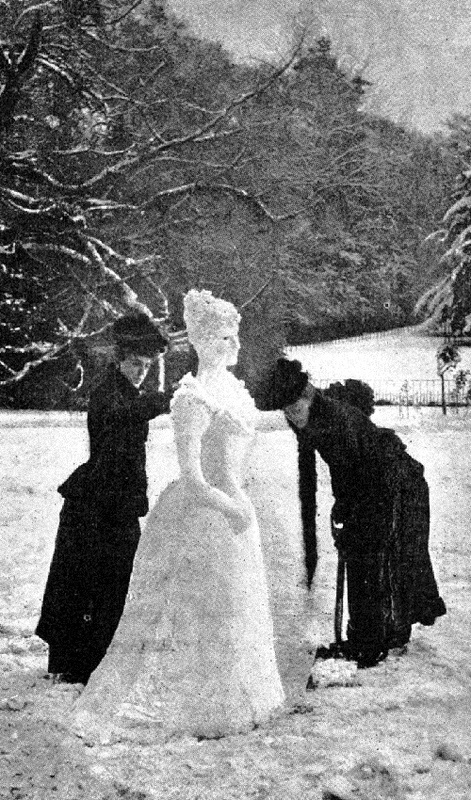 Noteworthy, February 28 it is necessary to make a snowman and whisper to him your desire, and be sure – it will come true! 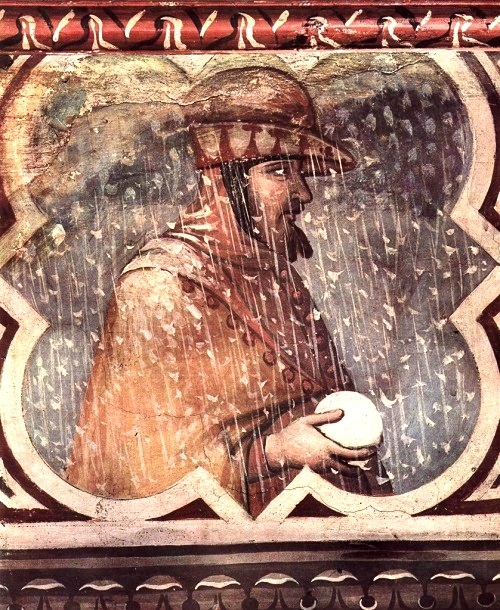 Meanwhile, in European tradition, snowman was the invention of knight Giovanni Bernardoni in the XII century aka St. Francis of Assisi. According to the Life of St. Francis, fighting the demons tempting him, he began making snowmen and called them his wife and children. 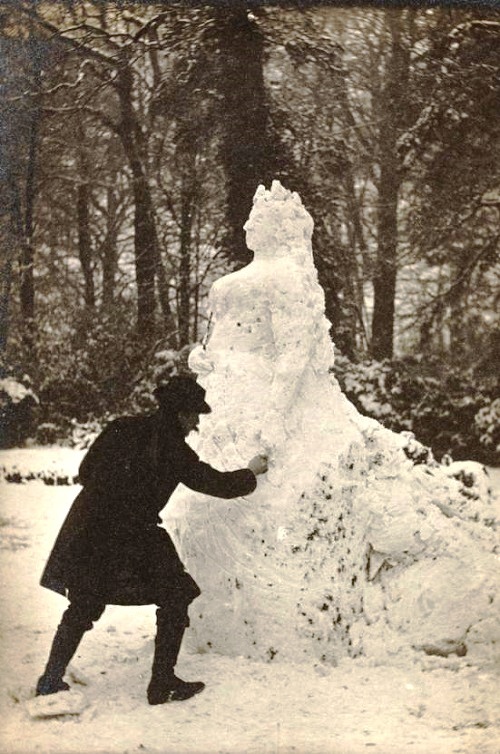 In modeling a snowman guessed prototype of creation of a man, only the act of creation belongs to the man. 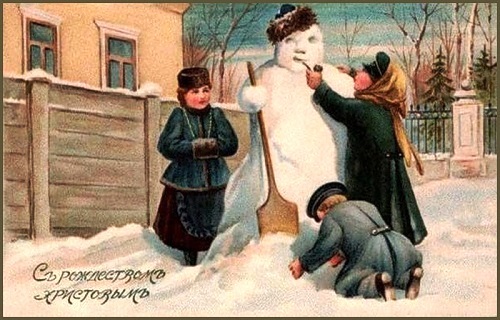 In Russia snowmen were the embodiment of spirits of winter, to them, as well as to frost, pleaded for help/mercy and decreasing the duration of colds. 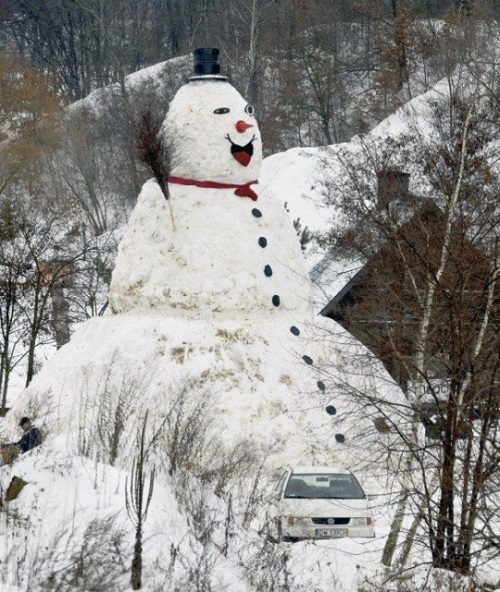 Perhaps that is why in the “hands” of snowman is always a broom – so that he could safely fly up to the sky, when he wants. In Russia once believed, if the air is populated by celestial maidens, ruling fogs, clouds, snow, the pagans in their honor organized ceremonial rituals, and molded their images. 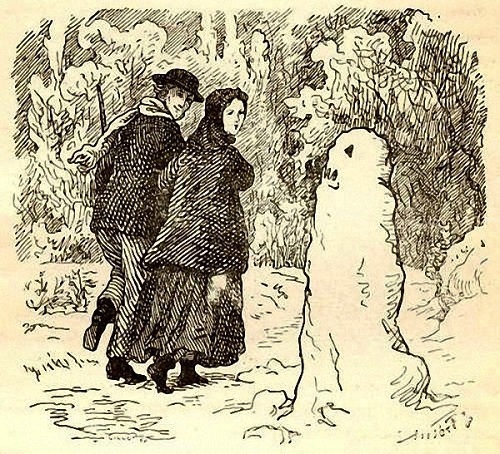 Sometimes the wildest version of the origin of a snowman takes place. 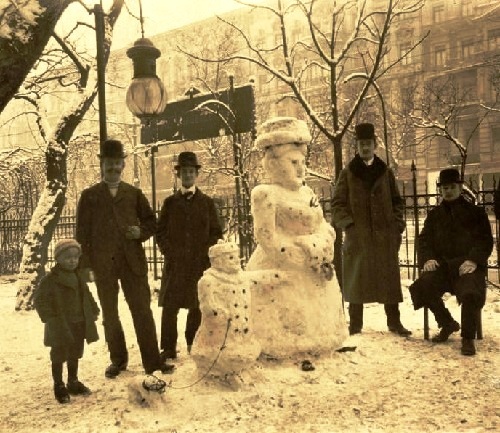 Its fans believe that in ancient times crowds of yeti roamed throughout Russia, snow people even stole small children. 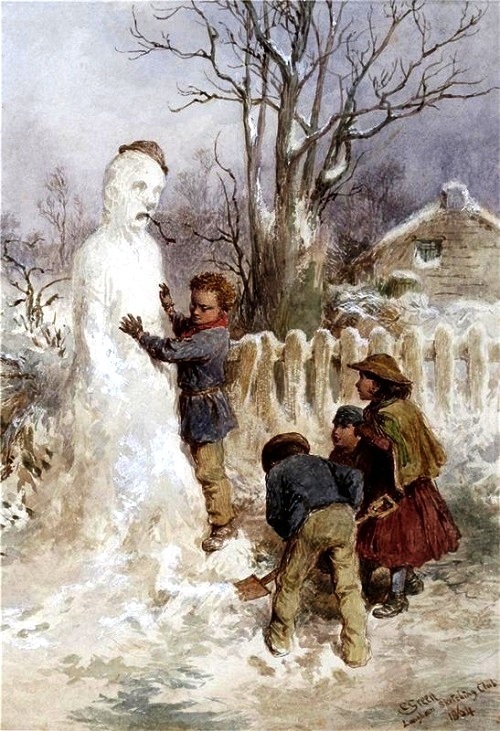 To get rid of these maniacs, our ancestors sculptured snowmen. 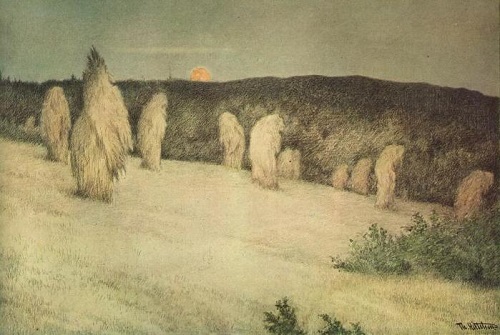 For summer time they designed scarecrow to ward off these chasing yetis.